The Patriots Symphonic Band is Northern Ohio's largest and most active non-profit, all volunteer musical ensemble. With an active membership of over 75 players, the Patriots Symphonic Band maintains a full year-long schedule of both indoor and outdoor concert performances throughout the northern Ohio area. 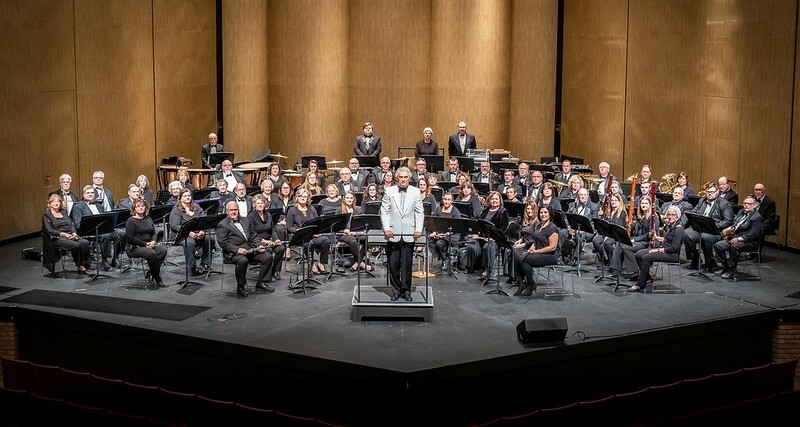 Headquartered in Lorain County, Ohio, the band strives to preserve "Americana" by performing music in the form of an American-style hometown concert band. The band presents a broad spectrum of musical styles and an array of exciting soloists at each concert. Concerts are patriotic, family-oriented events with appeal to audience members of all ages. Musicians are drawn from 23 local communities, and range in age from the mid-teens to the mid nineties. Please visit our Concerts page to learn about upcoming Patriots events in your area. We look forward to seeing you at one of our performances. Learn more about the Patriots Symphonic Band at the About Us page. © Copyright 2019. Patriots Symphonic Band. All Rights Reserved.